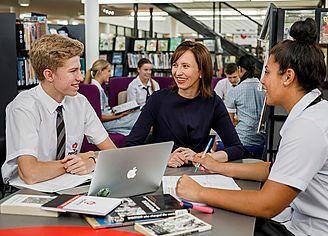 Penrith Anglican College was established in 1998 with a clear vision – to educate students to live with purpose and to develop a personal faith in Christ. The College seeks to provide an innovative, rigorous and Christ-centred education which encourages a culture of personal excellence through inquiry, learning and achievement. Penrith Anglican College is a large inclusive and nurturing community, where students are encouraged to participate fully in the life of the College. Many opportunities are available to students to develop their unique talents in order to serve the College and wider communities – now and in the future. 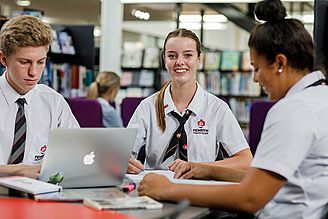 Penrith Anglican College offers the international Baccalaureate (IB) Diploma programme in parallel with the HSC in Years 11 and 12. The Diploma programme is a rigorous programme of study that gives students a well-rounded education in a variety of subject areas while effectively preparing them for future study at university. The IB Diploma encourages students to become active, compassionate, lifelong learners with a global perspective, preparing them to find their place in the world and to live a life of purpose. The College stands for personal excellence and a progressive approach to learning, preparing students for the future and a life of purpose through Christ. Penrith Anglican College has offered the Diploma Programme since 2008. A wide range of subjects are offered that cater to student needs in all 6 areas. Recent additions include Theatre, Spanish Ab Initio and Sports Exercise and Health Science. The teaching staff provide expertise in their subject area while also supporting the overall learning of the students studying the Diploma Programme. Particular support is offered for the Core components including sessions throughout the year focusing on the Extended Essay and time allocated in the timetable to fulfill CAS requirements.